In one sense, low self-esteem is the opposite of pride. In another sense, low self-esteem is a form of pride. It is rejecting what God says about us, and putting our opinion above God’s. Low self-esteem is a focus on all the negative thoughts others may be having about us, and is, in that respect, self-centered. Also some people with low self-esteem are very defensive about their looks or abilities because they are hanging on to their last shred of self-esteem and when it is threatened they become enraged, argumentative and accusatory. It simply takes a different route to get to the same destination, that is, self-absorption, self-obsession, and selfishness. Instead, we are to be selfless, to die to self, and to deflect any attention given to us to the great God who created and sustains us. Self-esteem can be defined as “a realistic respect for or a confidence and satisfaction in oneself,” but it is critical to provide the right basis for self-esteem. 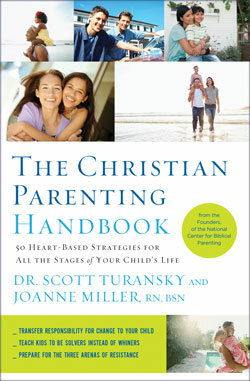 So as parents we need to make sure that we provide biblical self-esteem. Many define self-esteem as “feelings of worth based on their skills, accomplishments, status, financial resources, or appearance.” There is a secular version of self-esteem that says that we are the center of the universe and the goal in life is to feel good or to have “self-contentment.” It also says that we should ignore our failures and our need for God and focus on our achievements. These kinds of self-esteem can lead a person to feel independent and prideful and to indulge in self-worship, which dulls our desire for God. If we only trust in our earthly resources, we will inevitably be left with a sense of worth based on pride. Beth Moore says in her book So Long Insecurity, “Pride lives on the defensive against anyone and anything that tries to subtract from its self-sustained worth. Confidence, on the other hand, is driven by the certainty of God-given identity and the conviction that nothing can take that identity away” (pg. 104). As Christian’s we should not be prideful in thinking we have attained our worth on our own or in comparison to others but we also should not think we do not have value. The Bible says that we should see ourselves as valuable and that value should be based on who we are in Christ (Eph. 1:4-5; Gal. 4:7; Rom. 8:15-17). It teaches us that we should be humble (2 Cor. 3:4-5; Isa. 64:6, Psalm 16:2; Phil. 2-3; Romans 12:3). “We cannot do anything of lasting value by ourselves. Our only power and success come from God.” The Bible also teaches us to be confident and secure (Jeremiah 17:7-8; Rom. 8:39; 2 Corinthians 4:7; 2 Cor. 12:10; Phil. 4:12-13). Nothing can shake God’s love for us. Our confidence need to be in Him and nothing else. We have all surpassing power but it is from God and nothing else!! “We have dignity precisely because God himself gave it to us, His prized creation. You and I possess dignity because God himself has it and He created us in His image. To possess dignity is to be worthy of respect. Worthy of high esteem. No matter how foolish insecurity has tried to make us feel, we have the right to dignity because God himself gave it to us. If we really believed this truth we would not have to mask our insecurity with pride. If we knew who we were, what everybody else thought of us would grow less and less significant” (So Long Insecurity, Beth Moore, 159). God is the only source of our value, apart from him we are nothing. Anything other than God that is used to evaluate our worth becomes an idol. We were created by God! Psalm 139:13-16. We were created in God’s image! Gen 1:27. We were chosen by God Himself! God adopted us as His own children! Eph. 1:4-6; Jn.1:12; Rom. 8:15-16; Gal. 4:7; Rev. 21:7. We are loved through the expression of God’s sacrifice! Eph. 5:2; Rom. 5:8; 1 John 4:10; 1 Thess. 5:9-10. God’s love for us is unconditional! Eph. 2:4-5; Titus 3:3-5; Rom. 5:8. God has equipped us to do things that are eternally important and meaningful! God has made us adequate for the eternally important task of affecting the destinies of human souls and he has made us able to have a meaningful impact on other human beings. Eph. 2:10; 2 Cor. 5:18-20. Some people receive earthly talent and beauty that seem valuable to the society around us, but as real as it may seem, those things are just temporary bonuses on this earth and provide merely an illusion of value. We need to reject the value that our culture places on external things and fully embrace our worth as a child of God, based on nothing other than the fact that we are valuable to God. All people have the exact same value and if we see ourselves as better or worse in comparison to others then we are using the wrong scale and need to get in tune with God’s measuring stick. We are the way we are, and that is good. To truly have an accurate view of self, we need to accept that there is nothing we can do to alter our true value. A healthy self-esteem accepts that we are completely valuable regardless of our looks, talents etc., we are only valuable because of God’s view of us, and that we can never be more or less valuable than anyone else. 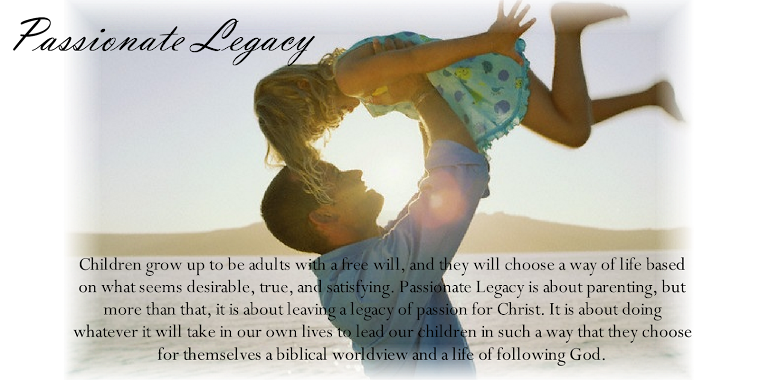 The next post will cover how you can provide a biblical self-concept for your children. Some extreme behaviors that result from an inaccurate view of “self” are: extreme pride and self-centeredness, chronic lying, absence from church and school, legalism, severe withdrawal from society, lower academic achievement, deep feelings of loneliness, workaholism, depression, poor mate selection, extreme self-criticism, substance abuse, sexual promiscuity, unreasonable fears, avoidance of intimate relationships and suicidal thinking and attempts. Providing the right foundation for our children’s self-esteem is one of the many important things we do for them. It is important because how we see ourselves affects the way we treat others and the way we allow ourselves to be treated. The way we think about ourselves can often be traced back to our parents. As resilient as children are they do not easily escape the effects of a parent who was unaware of their need for love and respect, grace and correction. People who did not gain an accurate view of themselves in the early years often struggle for the rest of their lives trying to feel good about themselves. People who receive lots of praise from their environment may learn to depend on these abilities and the praise that comes with them. So they put high pressure on themselves to maintain their abilities and they put high pressure on others to continue to affirm their abilities. They feel good about themselves most of the time, but that feeling requires constant maintenance and can be lost if the talent or success is lost. They also tend to struggle with pride because they believe that they earned their self-worth. People who either receive regular criticism or simply do not receive any praise from their environment may respond by making a commitment to themselves to either become talented or convince themselves and others that they do possess talent, intelligence, or other qualities that make them worthy of value. Or they may resign themselves to believing that they are worthless to the point of self-hatred. Convince ourselves that we are…….. Try to become……. so that we can be valuable. Avoid deep relationships so that our inadequacies are not revealed. Pressure others to give us the praise that we deserve. Become defensive when our inadequacies are exposed. Require others to believe that we are ……….. Become angry at anyone who does not believe that we are….. Compare ourselves to other people and allow it to make us feel better or worse about ourselves. Feel depressed, angry or worthless when we fail or do not live up to our expectations for ourselves. The next post will cover what the Bible says about how we should view ourselves.